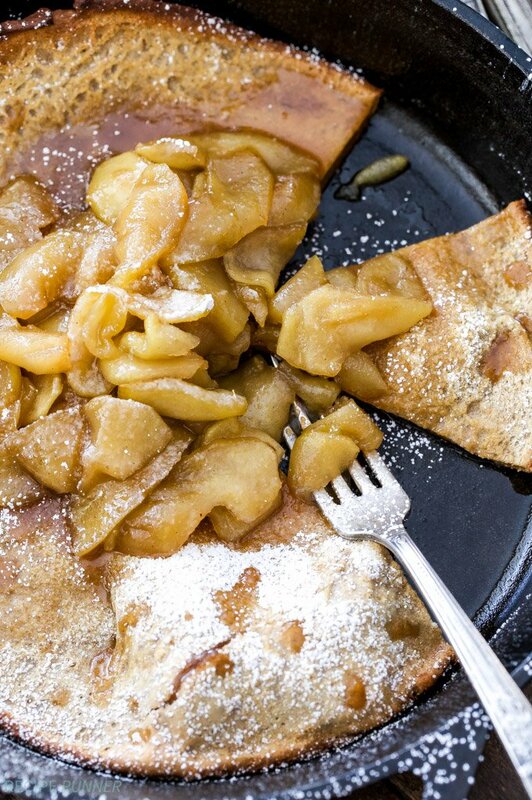 Your holiday breakfast isn’t complete without this Gingerbread Dutch Baby with Cider Apples! 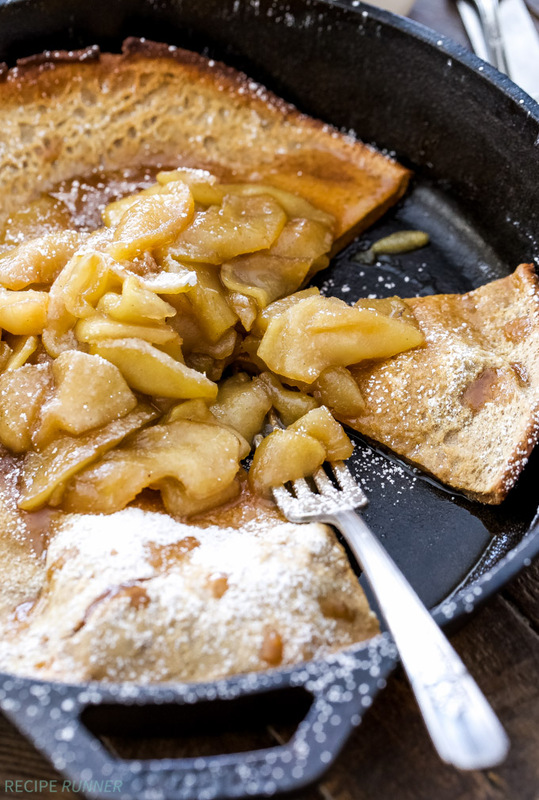 This baked puffy pancake is perfectly spiced and tastes incredible with soft caramelized cider apples on top! We finally did some holidaying this past weekend. Some of the Christmas shopping is finished, we watched a couple Christmas movies and I finalized the food gifts I’ll be making this year. Now that the food gifts have been decided I have to plan which day I’ll be standing in the kitchen for hours baking like crazy. 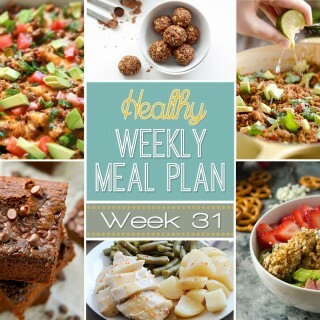 I don’t want to do it to soon and have all those goodies tempting me, begging me to take a bite. I also can’t wait much longer because they all have to be shipped off to out of state family and friends. There’s nothing worse than getting a late start on gifts that have to be shipped and standing in line for an hour at the post office. I always avoid the main post office and go to one of the little sub-stations instead, even then the line can still be ridiculous. Standing in lines is truly one of the most irritating things to me. Aside from all the food gifts, I’ve also decided what my husband and I will be eating Christmas morning. This Gingerbread Dutch Baby with Cider Apples is the sweet part of the breakfast, the savory part I’ll share later this week. If you’ve never had a Dutch Baby, you’re missing out. It’s a delicious puffy baked pancake with crisp edges and a custardy center. It’s perfect for feeding multiple people and you don’t have to stand at your griddle flipping pancakes while everyone else eats. This Gingerbread Dutch Baby is full of warm spices like cinnamon, ginger, nutmeg and cloves. It of course had to have some molasses which is essential to the gingerbread flavor. To make my Dutch Baby a little healthier and more wholesome I used Bob’s Red Mill Whole Wheat Pastry Flour. Whole wheat pastry flour is essential in my baking. 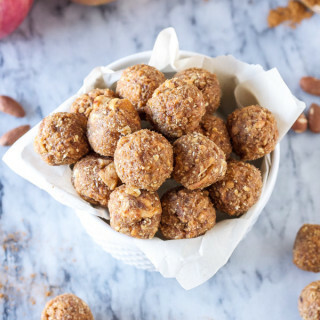 I use it in almost all of my baking recipes because I love how light and tender the baked goods turn out, plus I’m getting all the benefits of whole grains. While the Gingerbread Dutch Baby was delicious on it’s own, I wanted to make a special topping for it since it was for a special breakfast. 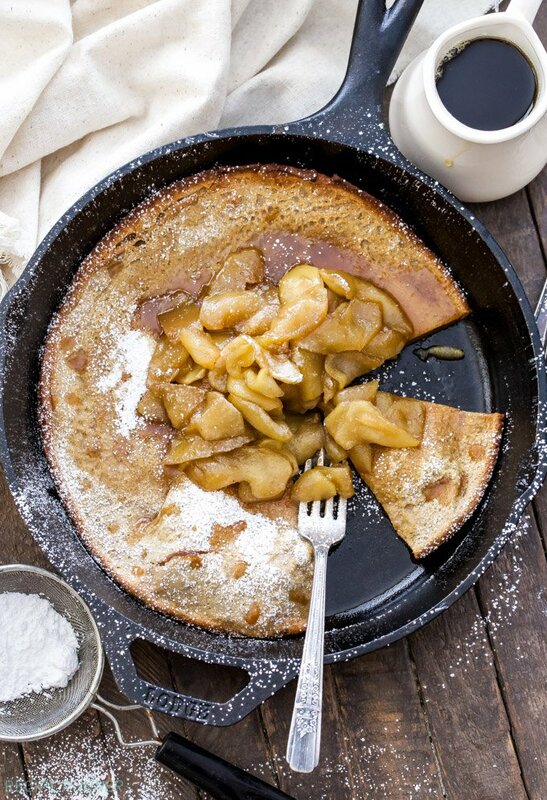 Cider apples were the perfect seasonal topper for this puffy pancake! Apple cider, cinnamon sticks and a little maple syrup are boiled and reduced on the stove. The thinly sliced apples are then added in and cooked until they soften and the cider coats them in a caramel-like sauce. Serve them warm on top of the Dutch Baby for a sweet addition to your Christmas morning breakfast! 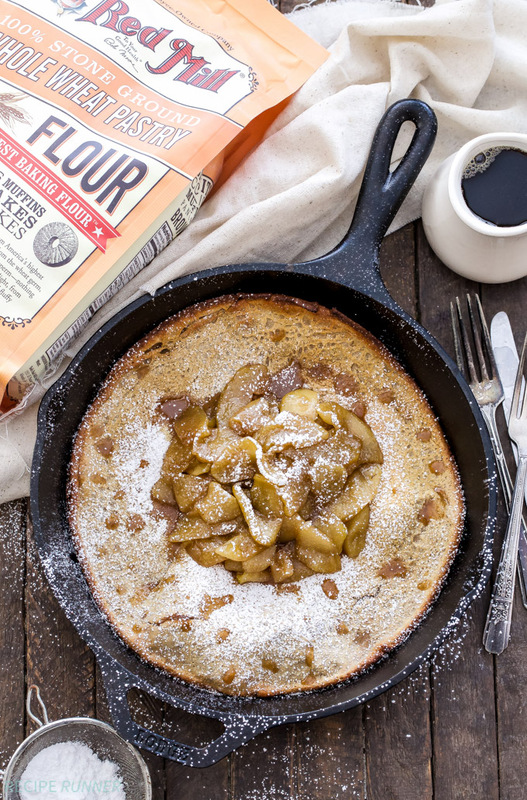 Your holiday breakfast isn't complete without this Gingerbread Dutch Baby with Cider Apples! 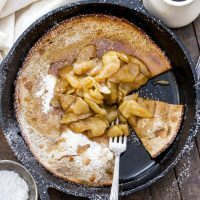 This baked puffy pancake is perfectly spiced and tastes incredible with soft caramelized cider apples on top! In a saucepan, bring the cider, cinnamon sticks and maple syrup to a boil. Boil the cider until it has reduced by half and thickend to a syrup consistency, about 10-15 minutes. Once reduced, remove the cinnamon sticks and stir in the butter until melted. Reduce the heat to medium, add in the sliced apples and simmer until the apples have softened, stir occasionally. Remove from the heat and cover with a lid to keep warm until the Dutch Baby is ready. Add the eggs to a blender and blend until they are light in color. Add in the remaining ingredients, minus the butter, and blend until smooth. In a 9 inch ovenproof skillet melt the butter over high heat, swirl it around making sure the sides of the pan are coated as well. 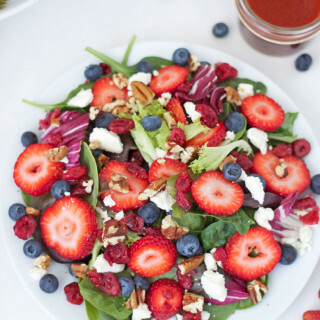 Pour the batter into the prepared skillet and bake for 15-20 minutes or until puffed and lightly browned. Top with the cider apples. Drizzle with maple syrup and sprinkle with powdered sugar if desired. Thanks to Bob’s Red Mill for sponsoring this post. As always all opinions are my own.